Last week we told you about Tanya Donelly's cover of Elliott Smith's "Between the Bars" from the upcoming tribute album Say Yes! A Tribute to Elliott Smith. 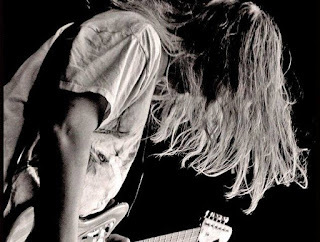 Now we can listen to J Mascis' version of "Waltz #2." Given J Mascis' recent solo work, I was expecting more of a quiet, acoustic cover, maybe with some added string instruments even though "Waltz #2" is one of Smith's less quiet songs. Mascis' version is a full on rock song with plenty of his trademark plodding noise and fuzz. It might not exactly be the sound of old school Dinosaur Jr, but it's at least more like J Mascis & The Fog than Tied to a Star was. You can listen to J Mascis' cover of "Waltz #2" below. Say Yes! A Tribute to Elliott Smith will be released by American Laundromat Records on October 14 and also features covers by Juliana Hatfield, Amanda Palmer, Yuck, Lou Barlow, and more. You can find out more information here.